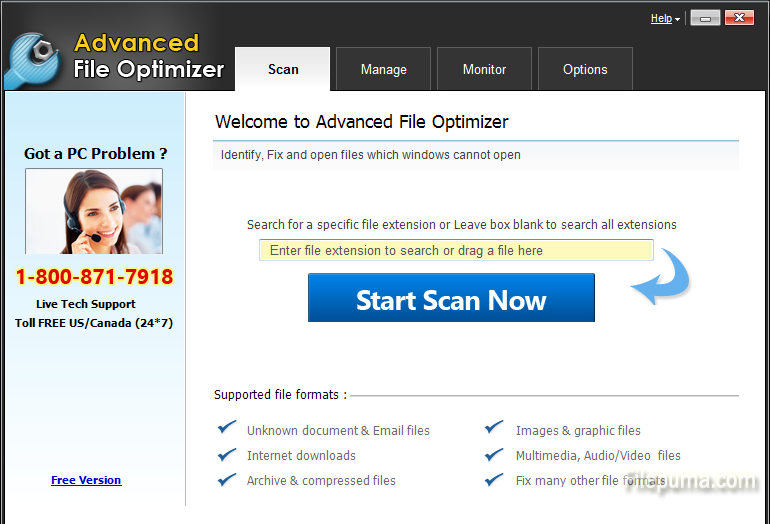 Advanced File Optimizer helps you open all types of files that include audio & video file, graphic file, document file, compressed file, file downloaded from the Internet and many more. 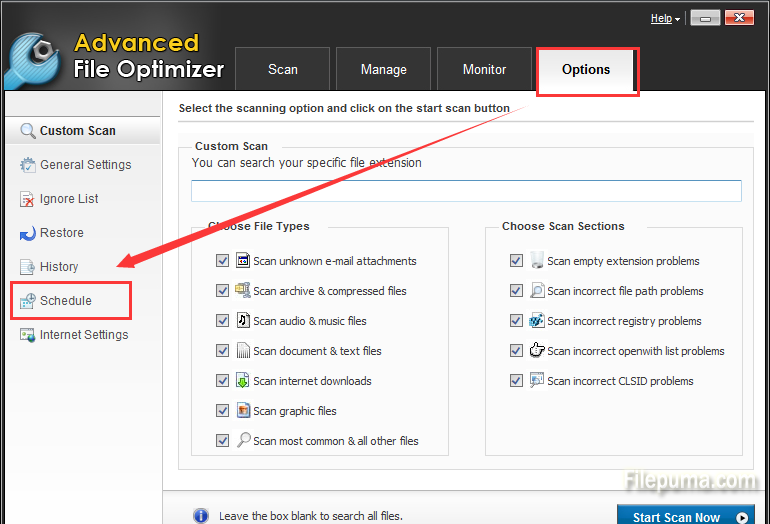 It sets default programs and frees you from the trouble of dealing with unknown file and confusing file extensions. You could also create a schedule for automatic scanning, and then your computer will run the program automatically on the date and time you specify. Here is the instruction. 2. Click the “Options” tab on the top of this program, and then click on “Schedule” to go to the system schedule interface. 3. First select schedule type: “Every Day” “Run Once” “Every week”, you could also choose “Do not schedule” to cancel the schedule operation. 4. Select date and time, week day(s) as you need. 5. Click on the “Apply” button on the right bottom of the interface to create the schedule.